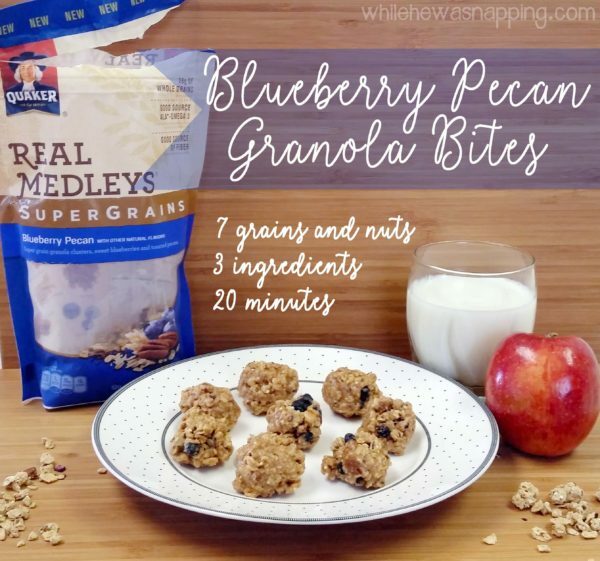 No-bake granola bites loaded with grains, nuts and delicious blueberries that are perfect for grab-and-go snacking and as part of a nutritious breakfast! 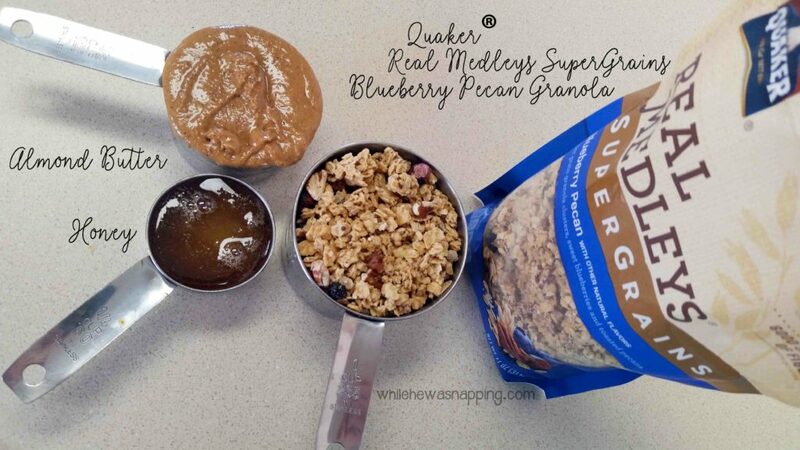 Measure 2 cups of Quaker® Real Medleys SuperGrains Blueberry Pecan Granola and pour into a medium sized mixing bowl. Measure ¼ cup of honey and add it to the bowl. 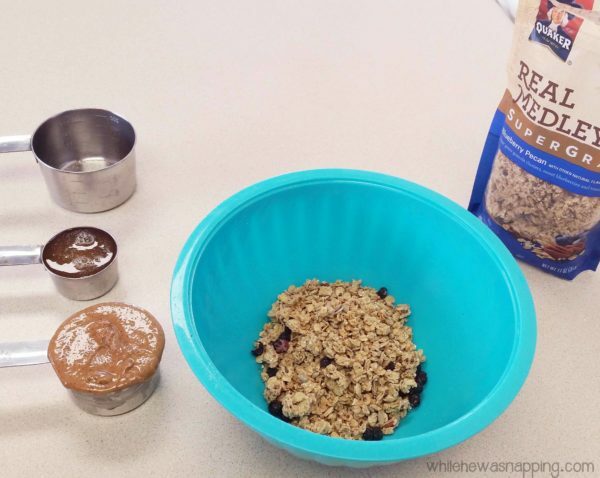 Measure ½ cup of almond butter. 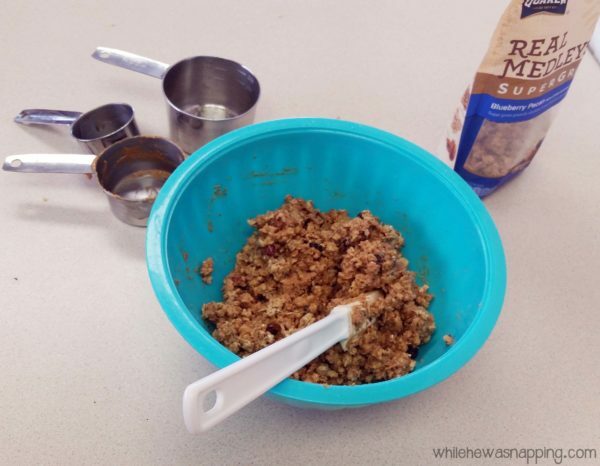 Use a spatula to spoon the butter into the cup and back out into the bowl on top of the granola. 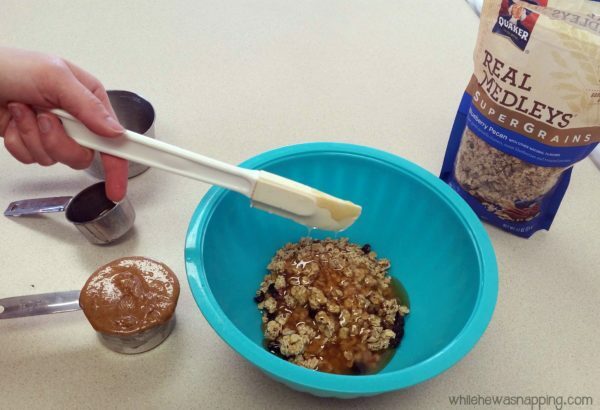 Mix until granola is evenly coated with the honey and almond butter. 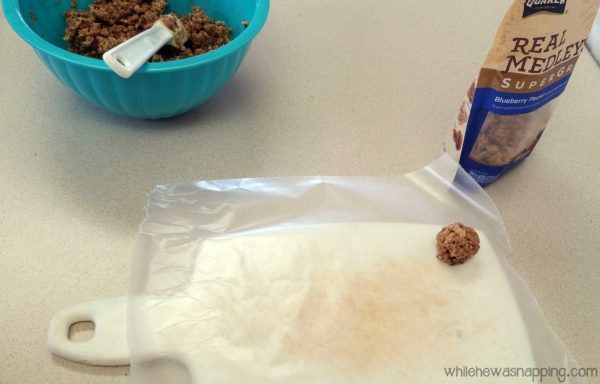 Roll granola into 1-inch balls and lay out on waxed paper. 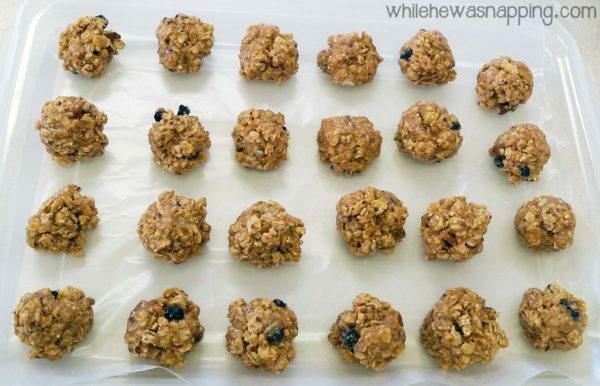 Refrigerate for 10 minutes or until the almond butter stiffens. You can substitute the honey with 2 tbsp of maple syrup or with ¼ cup coconut nectar. The almond butter I used had a small amount of coconut in it as well and was delicious with the pecans and blueberries. 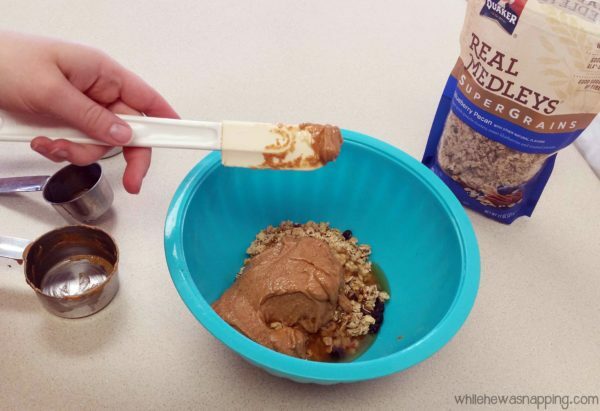 You can substitute the almond butter for any nut butter.You may have to adjust the ratio a little, depending on the thickness of your nut butter.